An increasing number of light aircraft are designed for operation with governor-regulated, constant-speed propellers. Significant segments of general aviation aircraft are still operated with fixed-pitch propellers. Light sport aircraft (LSA) use multiblade fixed-pitch composite propellers on up to medium size turbo prop aircraft with reversing propeller systems. Larger transport and cargo turbo prop aircraft use propeller systems with dual or double-acting governors and differential oil pressure to change pitch. Some types of propeller system are beyond the scope of this text, but several propellers and their systems are described. Although many of the wood propellers were used on older airplanes, some are still in use. The construction of a fixed-pitch, wooden propeller is such that its blade pitch cannot be changed after manufacture. 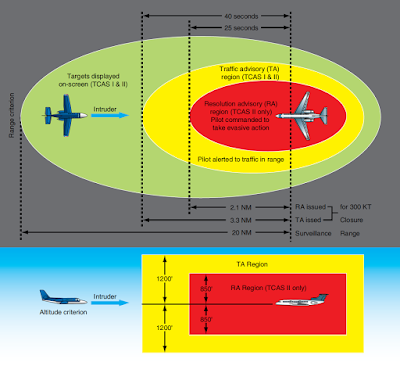 [Figure 1] The choice of the blade angle is decided by the normal use of the propeller on an aircraft during level flight when the engine performs at maximum efficiency. The impossibility of changing the blade pitch on the fixed-pitch propeller restricts its use to small aircraft with low horsepower engines in which maximum engine efficiency during all flight conditions is of lesser importance than in larger aircraft. The wooden, fixed-pitch propeller is well suited for such small aircraft because of its light weight, rigidity, economy of production, simplicity of construction, and ease of replacement. A wooden propeller is not constructed from a solid block, but is built up of a number of separate layers of carefully selected and well-seasoned hardwoods. Many woods, such as mahogany, cherry, black walnut, and oak, are used to some extent, but birch is the most widely used. Five to nine separate layers are used, each about 3/4 inch thick. The several layers are glued together with a waterproof, resinous glue and allowed to set. The blank is then roughed to the approximate shape and size of the finished product. The roughed-out propeller is then allowed to dry for approximately one week to permit the moisture content of the layers to become equalized. This additional period of seasoning prevents warping and cracking that might occur if the blank were immediately carved. Following this period, the propeller is carefully constructed. Templates and bench protractors are used to assure the proper contour and blade angle at all stations. After the propeller blades are finished, a fabric covering is cemented to the outer 12 or 15 inches of each finished blade. A metal tipping is fastened to most of the leading edge and tip of each blade to protect the propeller from damage caused by flying particles in the air during landing, taxiing, or takeoff. [Figure 2] Metal tipping may be of terneplate, Monel metal, or brass. Stainless steel has been used to some extent. It is secured to the leading edge of the blade by countersunk wood screws and rivets. The heads of the screws are soldered to the tipping to prevent loosening, and the solder is filed to make a smooth surface. 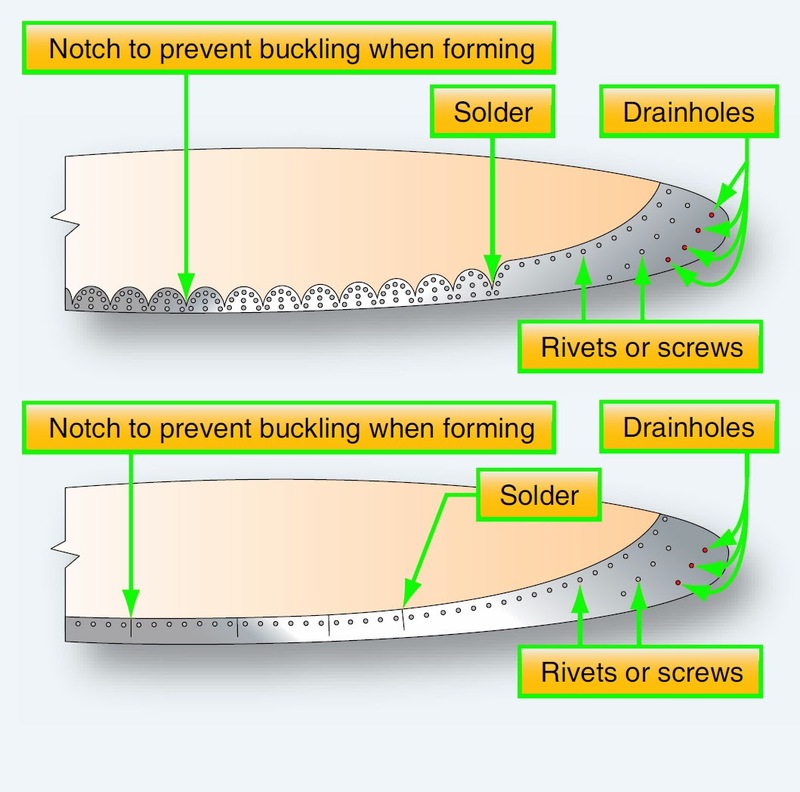 Since moisture condenses on the tipping between the metal and the wood, the tipping is provided with small holes near the blade tip to allow this moisture to drain away or be thrown out by centrifugal force. It is important that these drain holes be kept open at all times. Since wood is subject to swelling, shrinking, and warping because of changes of moisture content, a protective coating is applied to the finished propeller to prevent a rapid change of moisture content. The finish most commonly used is a number of coats of water-repellent, clear varnish. After these processes are completed, the propeller is mounted on a spindle and very carefully balanced. Several types of hubs are used to mount wooden propellers on the engine crankshaft. The propeller may have a forged steel hub that fits a splined crankshaft; it may be connected to a tapered crankshaft by a tapered, forged steel hub; or it may be bolted to a steel flange forged on the crankshaft. In any case, several attaching parts are required to mount the propeller on the shaft properly. Hubs fitting a tapered shaft are usually held in place by a retaining nut that screws onto the end of the shaft. On one model, a locknut is used to safety the retaining nut and to provide a puller for removing the propeller from the shaft. This nut screws into the hub and against the retaining nut. The locknut and the retaining nut are safetied together with lock-wire or a cotter pin. Front and rear cones may be used to seat the propeller properly on a splined shaft. The rear cone is a one-piece bronze cone that fits around the shaft and against the thrust nut (or spacer) and seats in the rear-cone seat of the hub. The front cone is a two-piece, split-type steel cone that has a groove around its inner circumference so that it can be fitted over a flange of the propeller retaining nut. Then, the retaining nut is threaded into place and the front cone seats in the front cone hub. A snap ring is fitted into a groove in the hub in front of the front cone so that when the retaining nut is unscrewed from the propeller shaft, the front cone acts against the snap ring and pulls the propeller from the shaft. One type of hub incorporates a bronze bushing instead of a front cone. When this type of hub is used, it may be necessary to use a puller to start the propeller from the shaft. A rear-cone spacer is sometimes provided with the splined-shaft propeller assembly to prevent the propeller from interfering with the engine cowling. The wide flange on the rear face of some types of hubs eliminates the use of a rear-cone spacer. One type of hub assembly for the fixed-pitch, wooden propeller is a steel fitting inserted in the propeller to mount it on the propeller shaft. It has two main parts: the faceplate and the flange plate. [Figure 3] The faceplate is a steel disk that forms the forward face of the hub. The flange plate is a steel flange with an internal bore splined to receive the propeller shaft. 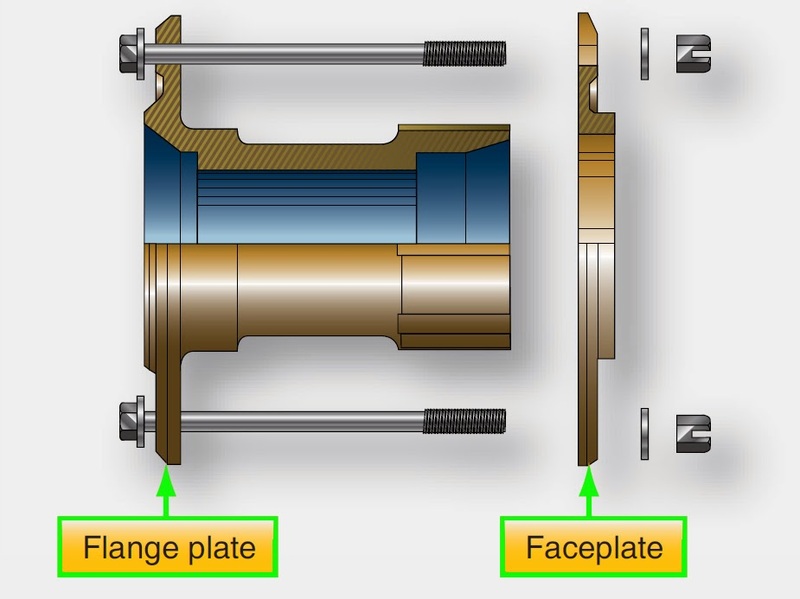 The end of the flange plate opposite the flange disk is externally splined to receive the faceplate; the faceplate bore has splines to match these external splines. Both faceplate and flange plates have a corresponding series of holes drilled on the disk surface concentric with the hub center. The bore of the flange plate has a 15° cone seat on the rear end and a 30° cone seat on the forward end to center the hub accurately on the propeller shaft. Duralumin. Compared to wooden propellers, they were lighter in weight because of elimination of blade-clamping devices, offered a lower maintenance cost because they were made in one piece, provided more efficient cooling because of the effective pitch nearer the hub, and, because there was no joint between the blades and the hub, the propeller pitch could be changed, within limits, by twisting the blade slightly by a propeller repair station. Propellers of this type are now manufactured as one-piece anodized aluminum alloy. They are identified by stamping the propeller hub with the serial number, model number, Federal Aviation Administration (FAA) type certificate number, production certificate number, and the number of times the propeller has been reconditioned. The complete model number of the propeller is a combination of the basic model number and suffix numbers to indicate the propeller diameter and pitch. 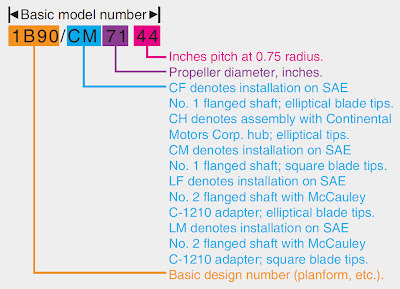 An explanation of a complete model number, using the McCauley 1B90/CM propeller, is provided in Figure 4.